Lucan Monks – Concept, Kismet, Animations. Jennika Cederholm – Animations, Kismet. Mikaela Grundin – Concepts, Environmental Models, Gui. Patrick Ånberg – Character Models. Nadida Ocba – Character and World Concepts, Textures, Gui. 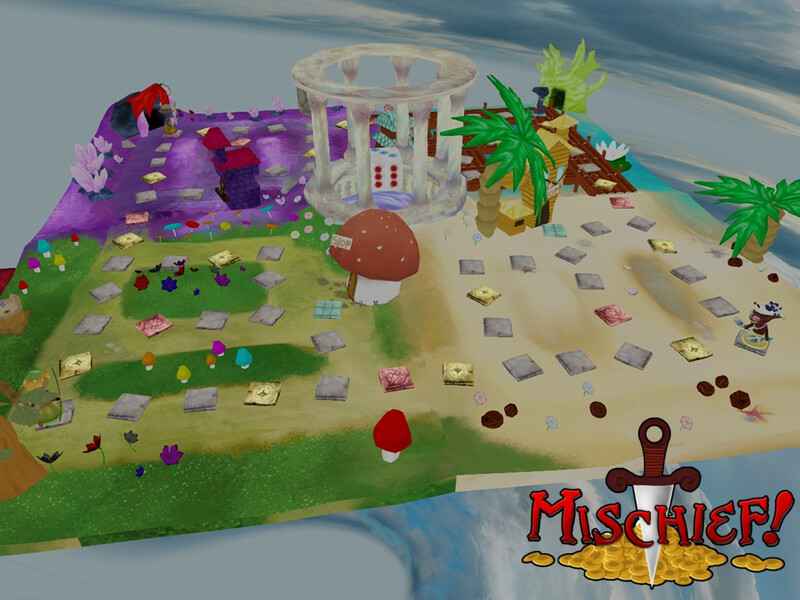 “Mischief” was the first game project created at Future Games. The idea was to make a ‘board game’ for the IPad, using Unreal Development Kit in just two weeks. The board game had to be designed with the idea that it could be made in real life too. I came up with the basic concept and mechanics of the game, and then made it in UDK using Kismet. I came up with the idea of the game by thinking about what makes a “fun” board game, and to me, that was a mix of chance and strategy. I, personally, like using different ways to interact with the game too – so I came up with the idea of moving around the board with the dice, choosing different paths to collect coins that would buy items in order to win. On top of this I added the ability to play cards on each other to mess with each others progress. The final game became about four mischievous goblins, battling each other to collect magical artifacts across the world in order to be named the hero (despite what villainous act they due during the game). 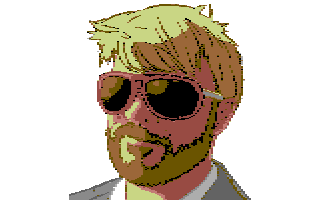 I took lead in the kismet coding purely as I knew I could work out how to make all the elements work logically. It being the first time I’d used Kismet, it turned out to be a little more challenging than expected, but I managed to get everything working in the end.